I have been very lucky as I inherited a number of boxes of documents from my Grandmother, Myrtle Doris Busby nee Weeks, when she died in 2001. Among these documents are many, many letters from her husband William George Busby when he was on service during World War Two which ranged from Darwin during the bombing in 1942 to New Guinea to Borneo. 2012 is the 70th Anniversary of that event. My grandfather could have been a doctor if the quality of writing was the only criteria! 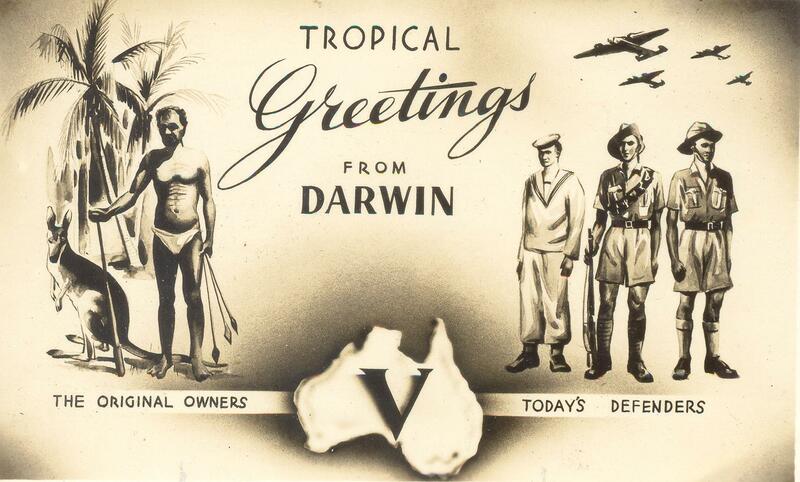 One day I will sit down and start transcribing them but not today, although I hope to have some done by the Anniversary of the bombing of Darwin. 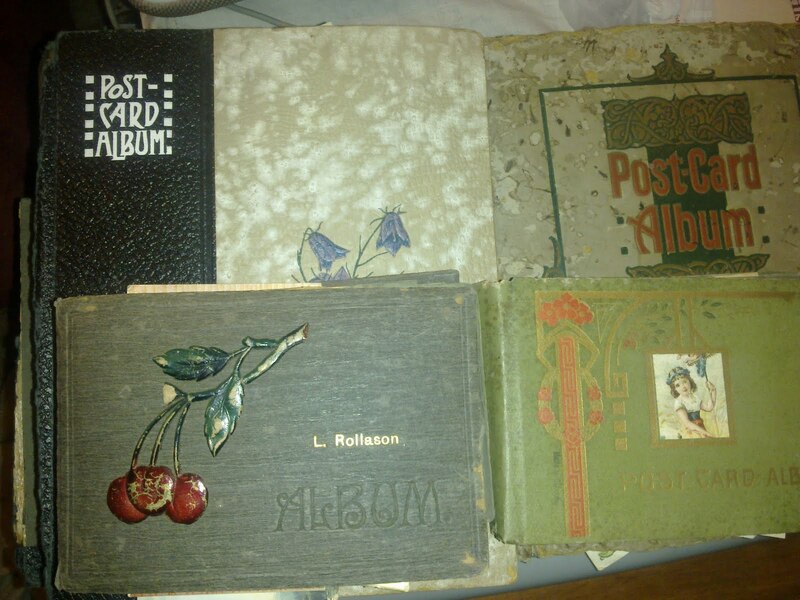 Today I am interested in what I am going to do with some postcard albums. Postcard collecting was a popular past-time. There were many different types including local scenes, pretty puppies and kittens, film stars, embossed patterns, celebrating occasions such as Christmas and Easter. and sentimental poetry. As a family historian what is even more interesting is that the postcards are almost the Twitter of the day as you had to write on them in the restricted space available so less than a letter but still potentially full of genealogical information. I have a number of albums from three of my female ancestors, my grandmother Violet Busby nee Weeks, great-grandmother Violet Weeks nee Rollason and great-great grandmother Lucy Rollason nee Evans. The first important thing to do was to photograph each page to ensure I had a record of where the cards had been put. These albums are a bit different to a photograph album in that, it is not unusual for the pages to be themed, such as butterflies together, rather than simply in date order. 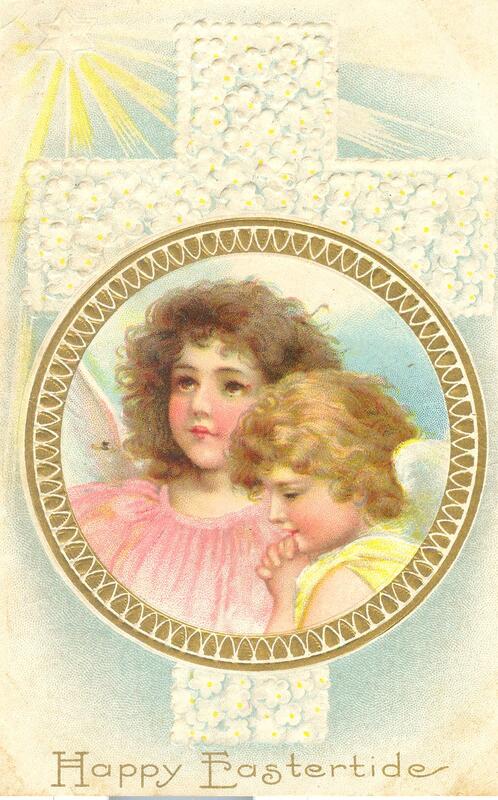 In one album I had ten cards ranging in date from 1909 to 1930 on the same page, the theme was cute kittens. Check the date written or the postmark if the postcard was posted to get an idea of date. The style of card can change depending on the country of origin so that is worth keeping in mind if you are using this to get a date. There are clubs devoted to postcard collectors so it is worth doing a Google search. 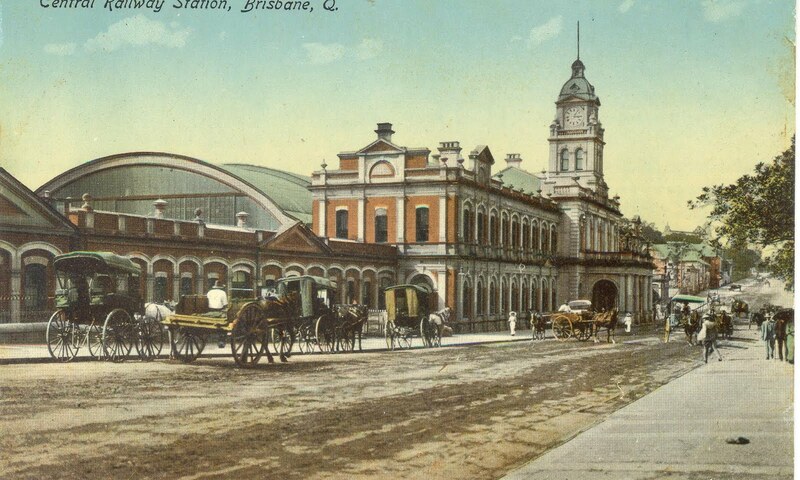 Here is a Queensland club whose pages have some great early Brisbane images. So my plans for the postcards? Well serendipity has played a part as I have just made contact with a descendant of my great-grandmother’s sister who had emigrated to the USA in 1904.